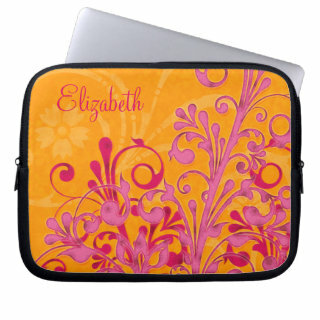 You can personalize the name on this bright orange and hot pink abstract floral laptop sleeve. To change the name, use the personalization tools on the Zazzle website. Bright and cheerful for a woman who loves bold color.